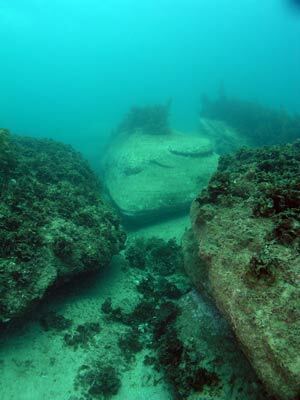 The northern beaches of Sydney are not overly blessed with dive sites. There are far fewer shore and boat dives here than on the eastern and southern beaches. This is primarily for one reason, in most spots, the rock platform drops straight to sand in a very shallow depth. Accordingly, there is very little rock under the water and even where the rock does extend out a little way, the depth is so shallow that the rocks cannot sustain any great marine growth due to the action of the huge seas that often pound the Sydney coastline. 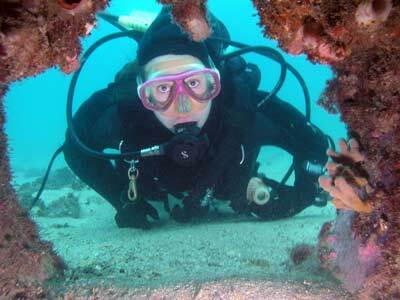 Three of the shore dive sites are located in Cabbage Tree Bay which is the bay to the south-east of Manly Beach. 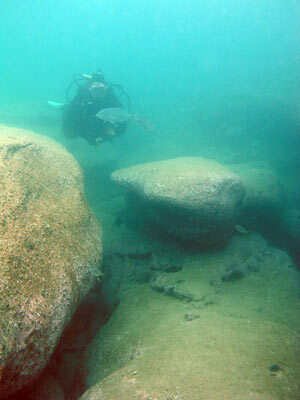 Two of the dives start from Shelly Beach which is the beach at the head of the bay. These are called Shelly Beach , and Shelly Beach Dusky Whalers. This second dive also extends to Fairy Bower. 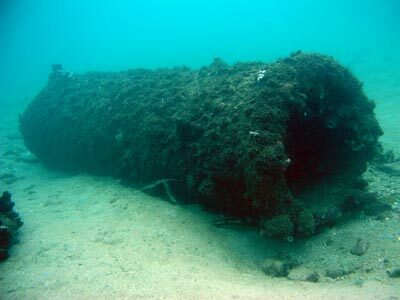 In this article I will explain Fairy Bower. Fairy Bower is a dive site that I dived back in the dark ages (well around 1990) and have not dived since except as part of the dusky whaler dive mentioned above. It is better suited to night dives for a number of reasons, the main ones being that car parking is extremely limited and it is not all that fantastic a dive site. Fairy Bower is the next suburb south from Manly. To find the beach, head to Manly and go south past Manly Wharf. Take the second on your left (Victoria Street) and then first right (Darley Street) and head up the road towards Manly Hospital. A few hundred metres from the bottom of the hill, turn left into Cliff Street. Go to the end and turn right into Bower Street. A short distance along you will see Bower Lane. Drive down this and park if possible or (more likely) drop off your gear and buddy. Go back to bower Street and attempt to find a car parking spot (note that it is all 2 hour limit). Once you have geared up, head towards the water and down the stairs (I think) to the beach area. 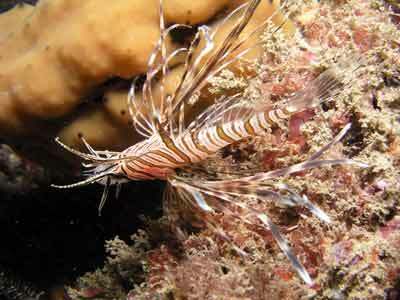 Walk in and don your mask and fins before swimming out a few metres. Once you descend, head to the north and then east till you hit the edge of the reef. From memory there are some large rocks here before there is a fairly prominent wall. Follow the edge of the reef. The direction will be north at first before turning to the east. 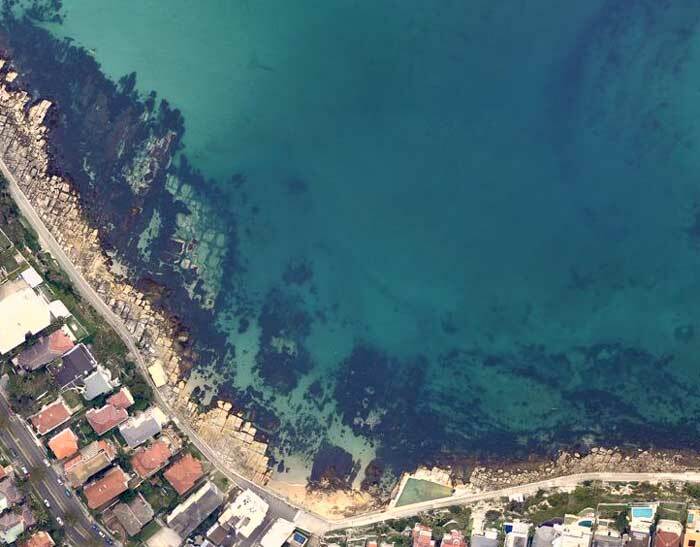 At first the reef is fairly prominent but it then becomes a low rocky reef with a bit of kelp and weed. After about 10 minutes turn around and head back the way you came, covering sections on the sand or reef that you did not previously see. All along this part of the dive keep a look out for the sharks. 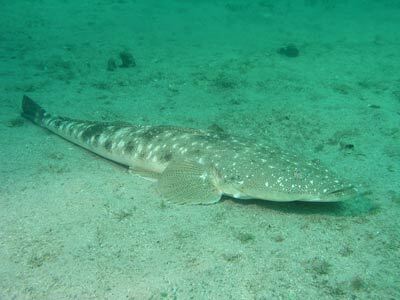 They seem to swim about a metre or two off the bottom and come in from the sand side and go over the reef. 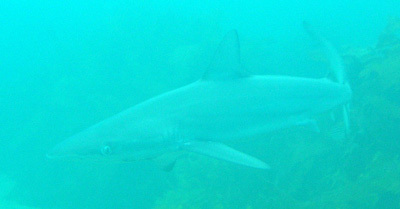 The sharks are quite small, only just over a metre or so (at least the ones I saw). In this area you may also see huge flatheads, almost as big as the sharks! I am not sure if the sharks are active at night, but they may dive you a bit of a fright if they came in close and quick. As you come back the reef turns a little more to the south for a short distance before it again heads west. You are now very close to where you started. The reef is far more prominent in this location. Cross over the slope that you originally came down and follow the western side of the reef. There are some very large rocks off the wall as well as some smaller ones. There are cracks and overhangs in the main wall. Soon you will see a large concrete sewer pipe. Who knows how it got here. This section us about two or three metres long. There is another smaller section about 10 metres away to the south. To the north from this spot there is a motorcycle. This has been here since at least the late 1980s. You should end up back at the entry point after about 40 to 50 minutes. You can spend a bit more out to the north of the entry point if you like before exiting back onto the beach. As mentioned, this dive is really only worth doing at night and only may okay due to the presence of the dusky whaler sharks. If it was not for them, you would really only ever do this dive once every couple of years. There are no sponges, no sea tulips, no fixed marine life of any interest. You may see some nice blue gropers, some schools of surgeonfish, yellowtail, seapike and a few other species.